The world’s leading metrology company, Mitutoyo, was started by Yehan Numata in 1934 with just a single product – the micrometer. The company’s philosophy was to manufacture the world’s best mechanical micrometer at an affordable price. 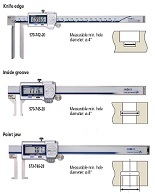 Mitutoyo concentrated its R&D to create an advanced family of indicators, calipers, micrometers, and many more measurement instruments. 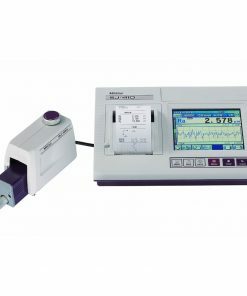 At Willrich Precision, you can find a large selection of Mitutoyo precision measurement instruments. Founded in 1971, our company has been serving the gaging, inspection, and metrology industry by being a trusted retailer of an exceptional range of precision measurement instruments. With many years in the business, you can be sure that the products we carry are made to the highest standard of workmanship and quality. At Willrich Precision, you can find Mitutoyo digital tachometers, Mitutoyo digimatic depth gages, Mitutoyo caliper gages, etc., from our wonderful precision measurement instruments range. What’s more, we are highly committed to helping you clinch the best deals that entail significant savings. 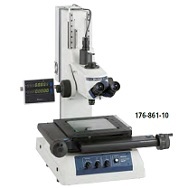 This way, your precision measurement needs are fulfilled while staying on budget. Start shopping with us today and discover in person the full extent of the Willrich Precision advantage when it comes to buying tachometer, caliper, and other quality products! Equal & Greater than .500"